Typical RHCP expressions. . Wallpaper and background images in the Red Hot Chili Peppers club tagged: red hot chili peppers rhcp i'm with you anthony kiedis josh klinghoffer flea chad smith. 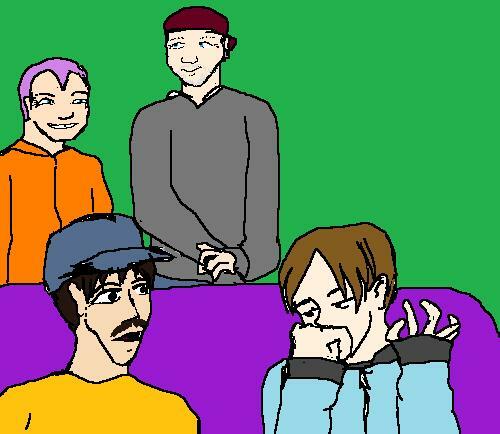 This Red Hot Chili Peppers fan art contains anime, comic book, manga, and cartoon.